Oleh Bilynsky has an extensive litigation background and brings his knowledge and experience with the Delaware Court System to The O’Brien Firm. 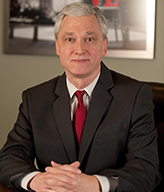 Oleh has extensive litigation experience in all stages of trial practice, in Philadelphia and Delaware asbestos litigation. He also has patent litigation experience.